Juventus key man Cristiano Ronaldo has reportedly approved an end-of-the-campaign move for Liverpool star Mohamed Salah, according to a report. Since arriving at Anfield outfit in the summer of 2017, Mohamed has established himself to be an improved version of his career at Chelsea. 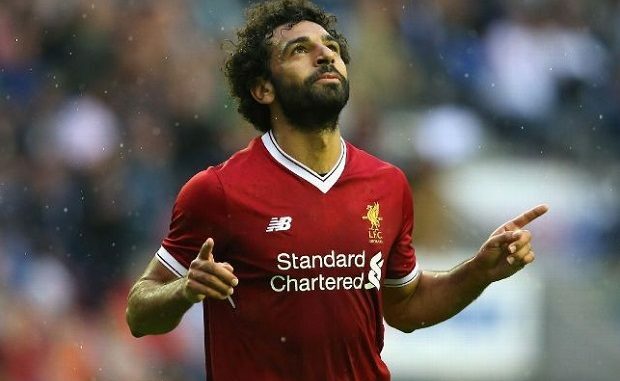 The Egypt international star won the Premier League Golden Boot in his debut campaign with Liverpool, having scored a record 32 goals in the Premier League. This term, the attacker has found the net 20 times for Liverpool in all competitions thus far. The 26-year-old star has been connected with a number of sides including La Liga club Real Madrid but it appears Juventus are prepared to bolster their roster further and bring the Egyptian forward to Turin. According to Sky News Arabia, Cristiano has reportedly sanctioned a summer swoop for the Liverpool star. The report states that the move will cost the old Lady around £175 million. The Serie A leaders have already bolstered their squad at the beginning of the campaign with the arrival of Ronaldo. However, it appears that the Italian club are ready to spend even more on reinforcements, having just secured the signature of Arsenal star Aaron Ramsey this week, who has penned a pre-contract with Bianconeri. The report also states that the transfer would not be easy to pull off and could exceed €200 million if Salah decides to join them. Cristiano Ronaldo has faced the former AS Roma player in former club Real Madrid’s match against Jurgen Klopp’s side in the UEFA Champions League final last May.